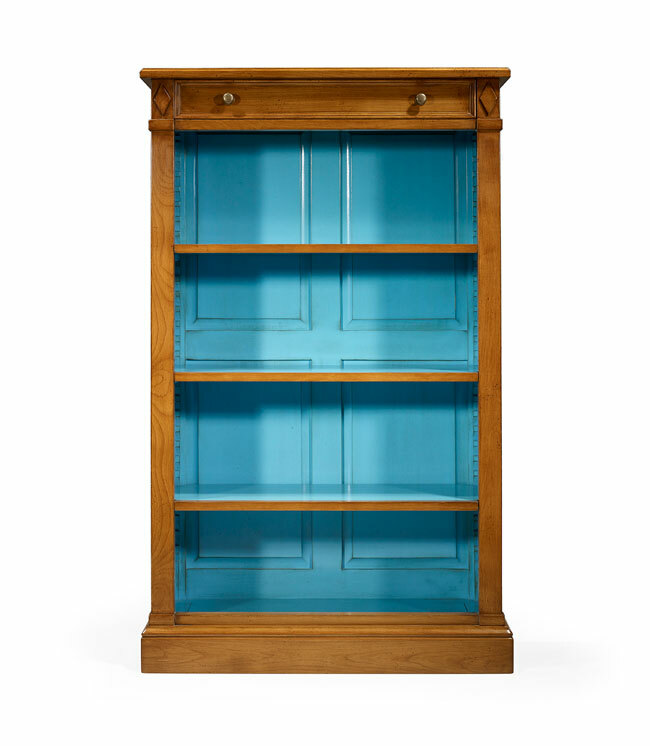 A carefully designed bookcase offers limitless style and storage possibilities. 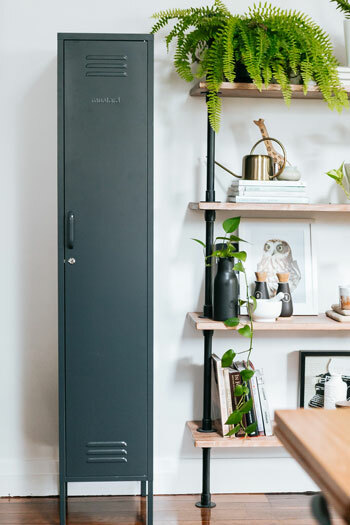 Design expert Sean Juneja, CEO of Décor Aid — a full-service interior design firm with multiple locations around the country, servicing the New Jersey region and beyond — illustrates ways to bring shelving to life. 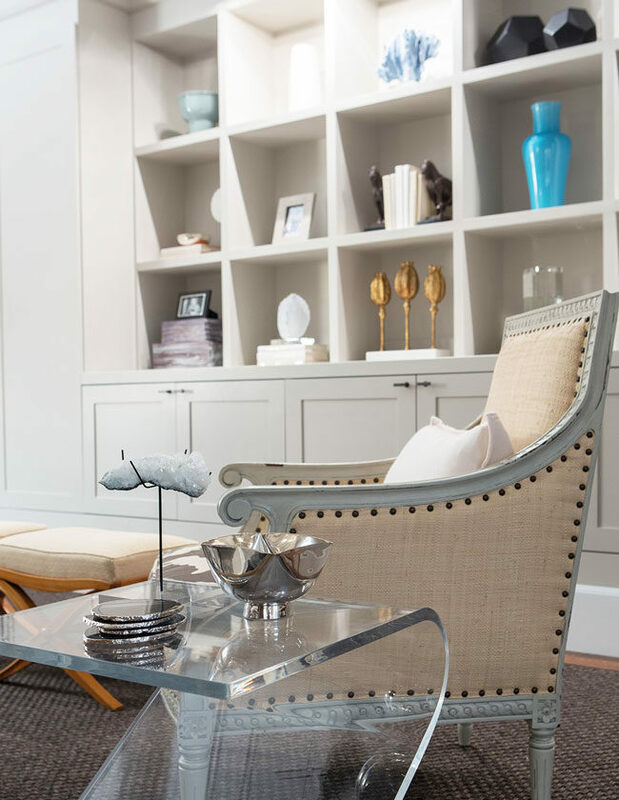 From single shelves to an entire built-in unit, a common mistake our interior designers are often quick to note is homeowners filling shelves with as many objects as possible which in turn creates a heavy, cluttered look. Ultimately, the key here is to create sparse, spaced out vignettes so the eye can focus on highlights from your book collection with one strong decorative extra per shelf for a quick conversation starter. 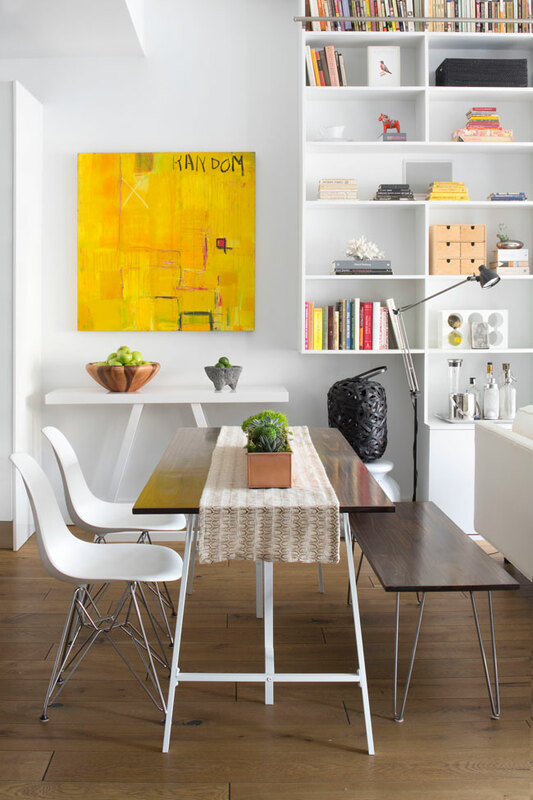 BEFORE: Books and accessories get lost in a hodgepodge display in a Hoboken townhome. 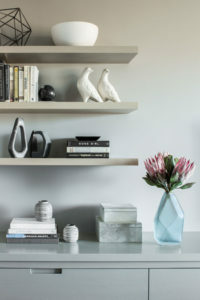 Just as you should throughout your home, rotating objects and mementos on shelving makes for a quick refresh and allows you to experiment easily. In a Summit living room makeover, designer Libby Langdon chose a tall bookcase from Vanguard to create an artful display of books, objects and photos. www.libbylangdon.com. www.vanguardfurniture.com. For added depth and punches of unexpected color and texture, consider adding plants of various sizes as they’ll also double as air purifiers. By playing with various decorative elements from souvenirs to porcelain figurines and art objects, be sure that everything you utilize to style your shelves works together to create visual balance to make your bookshelves pop while reflecting your personality. 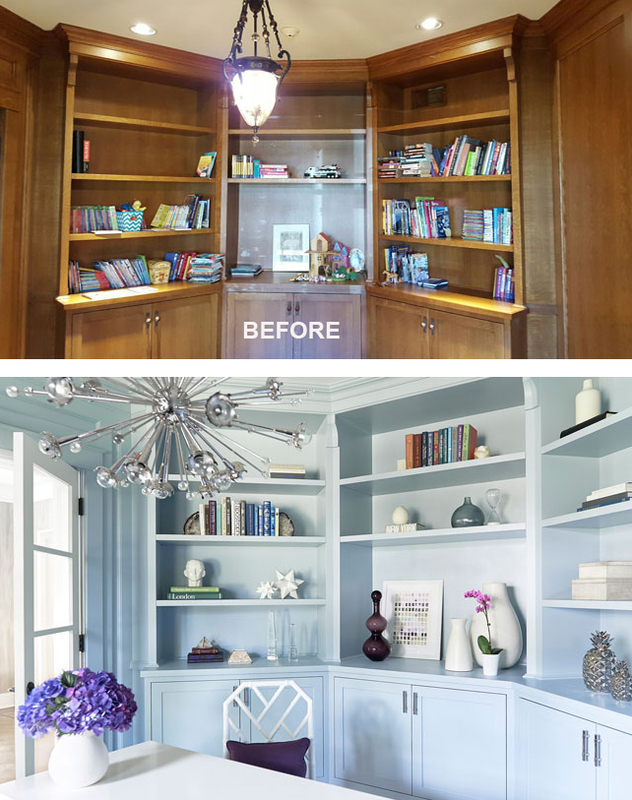 Inexpensive and easy to do, painting the inside of bookshelves is an instant way to bring them to life and will make everything you place on them stand out. 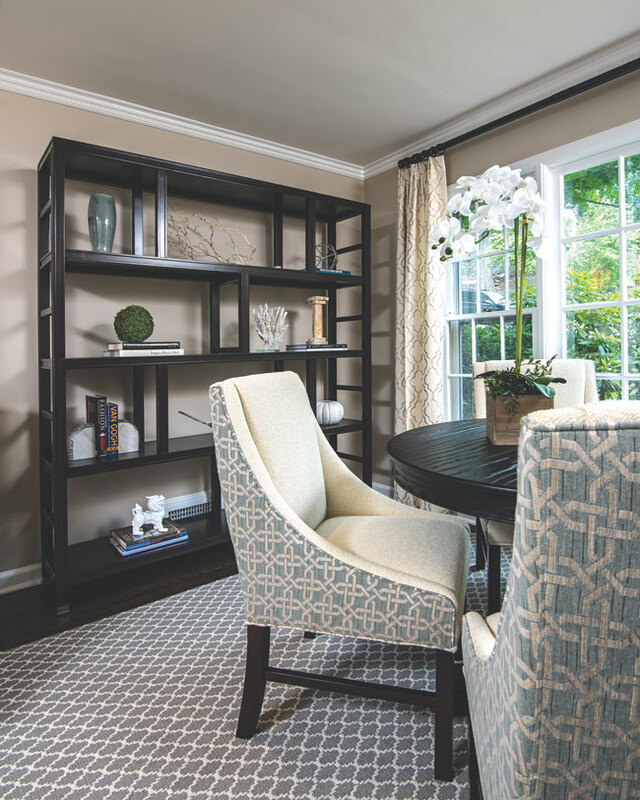 Painting formerly dark drab built-ins a bright chalky pastel blue, instantly elevated this Florham Park home office designed by Décor Aid. There’s an art to styling bookshelves that’s actually much easier to approach than other aspects of a home’s interior design. 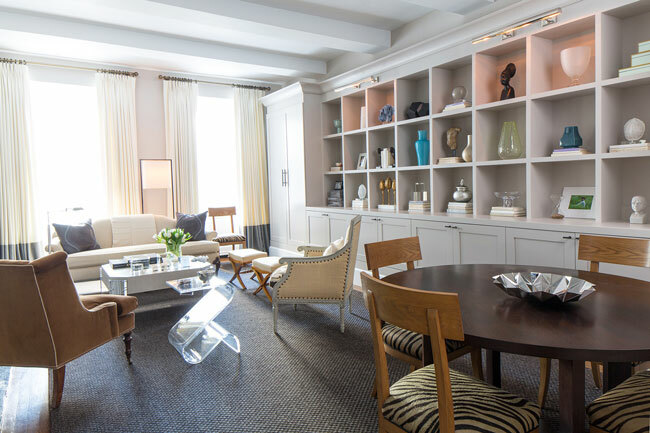 Think playful extras, and keep in mind that adding tall vessels and vases here and there will work to establish varied scale which is a great way to avoid the rigidity we often take note of when it comes to shelf styling. 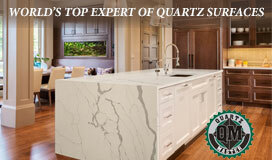 Also, be sure to place a few objects askew to create a more natural, lived-in look. The best way to start is by editing the collection of books you’re looking to display as there’s no reason to include old college textbooks and well worn reads. Instead, select books worthy of being highlighted especially ones with vibrant spines. Though it’s essential to group books by color, there’s no strict ruling on how they should be positioned. The trick is to alternate placement from shelf to shelf to keep things visually interesting. And if you’ve got a rare collectible book or gorgeous tome, show it off by using an easel as you would with a decorative plate to show it off. Editor’s Note: Check out our roundup of stylish new bookcases and accessories in Design NJ’s August/September 2018 issue in Shop: NJ.